Mr. Corr concentrates his practice in the areas of personal injury, products liability, medical malpractice and commercial litigation. With over twenty-five years of trial experience, Mr. Corr has represented individuals, small businesses and large corporations. 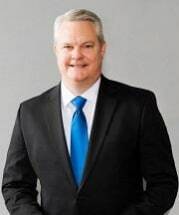 He has considerable experience litigating cases in various state and federal courts throughout the country and has briefed and argued cases before the federal and state appellate courts in Pennsylvania. Mr. Corr carries Martindale-Hubbell's highest Peer Review Rating, AV Preeminent®, for ethical standards and legal ability. Mr. Corr serves as co-counsel for families of victims of the 9/11 terrorist attacks in an action against the nation of Iran and a number of Iranian agencies and instrumentalities in In re: Terrorist Attacks on September 11, 2001, MDL 1570, 03-md-01570, U.S.D.C., S.D.N.Y. He has represented large and small businesses in complex contractual litigation. Mr. Corr has also successfully represented hundreds of individual clients in actions against various pharmaceutical companies in product liability litigation, and currently represents individuals who have suffered injuries as a result of motor vehicle accidents, medical malpractice, or other negligence. He has been lead trial counsel in cases in Pennsylvania, New Jersey, Ohio and Florida. His trial experience includes both individual cases and class actions, and he has represented both plaintiffs and defendants. Mr. Corr has been appointed by the Court to serve as Plaintiffs' Liaison Counsel in In re: Avdandia Marketing, Sales Practices and Product Liability Litigation, MDL 1871, 2:07-md-01871, U.S.D.C., E.D.Pa. ; In re: Comcast Corporation Set-Top Cable Television Box Antitrust Litigation, MDL 2034, 2:09-md-02034, U.S.D.C., E.D.Pa. ; and In re: Zoloft (Sertraline Hydrochloride) Products Liability Litigation, MDL 2342, 12-md-02342, U.S.D.C., E.D.Pa., and also serves on Plaintiffs' Executive Committee in those cases. Mr. Corr is licensed to practice in Pennsylvania and New Jersey. He is also a member of the bar of the U.S.D.C., E.D.Pa., U.S.D.C., M.D.Pa., U.S.D.C., N.J., U.S.C.A., 3rd Circuit, and U.S.C.A., 11th Circuit. Mr. Corr is an active member of the Bucks County Bar Association, the Bucks County American Inns of Court and his local community. He served as an elected school director for the Central Bucks School District (2005-2016) and was elected eight times by his colleagues to serve as either President or Vice-President of the Board. Martindale-Hubbell’s highest Peer Review Rating, AV Preeminent®, for ethical standards and legal ability.